I walked my kids to school recently through the pretty North East English village of East Boldon and saw a red cross on a beautiful old rowan tree. I thought it might be the diesel haze of nearby commuter traffic confusing my senses, but no. One email to my local councillors later and my worst fears were realised. The rowan tree, a species which feeds flocks of birds each autumn with its berries and whose only crime is to be old and gnarly, is for the chop – and the birds’ autumn lifeline with it. 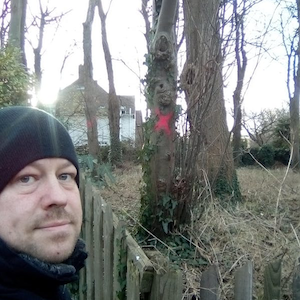 In the email to my councillors I pointed out that two of the three trees slated for removal in that particular copse do not need to be cut down, they just need a bit of remedial work. One is a small tree smothered with ivy that simply needs to be stripped away. The third is dead and I suggested in my email that the grounds team cut it into logs and scatter them around the small woodland – allowing them to rot for the benefit of fungi and insects, instead of their usual annihilation in an industrial grinder. As a lecturer in ecology with 25 years of experience and over 30 peer reviewed papers published, I expected my suggestions to be taken seriously. While the councillor was prompt to reply and polite, it was made clear that grounds management is none of my business. From my experience in the UK, grounds management teams employed by local councils seem unresponsive to expert advice. They also appear unsure how to reconcile having wild areas which are safe for human use but which remain useful for wildlife. The small patches of wild and semi-wild areas in cities have been mostly stripped of their value to wildlife by over-intensive grounds management. Anything that has the vague look of irregularity is removed. No wood is allowed to lie on the ground, it must be tidied away. A 2013 report by the Royal Society for the Protection of Birds reviews the dramatic loss of wildlife habitat in the UK in great detail, emphasising the need to improve the semi-wild urban areas we still have for wildlife. The wildlife value of a particular tree species in cities is often disregarded when a decision is made to remove it. In parks, plant species which are exotic to the UK such as the New Zealand cabbage tree (Cordyline australis) are intentionally planted because no native wildlife can use them, so they are low maintenance. Pansies and other colourful flowering plants used in urban park borders are often useless for pollinators. This is due to modifications made during breeding of such plants which restricts access to the nectar producing organs and sometimes leads to lower rates of nectar production. Petals of many ornamental plants are bred to enclose the central nectaries – nectar producing organs – and sexual parts of the flower that produce pollen and are of use to pollinators. This breeding gives the flower a beautiful ball shape but limits their use to insects. I suspect such plants are only put in urban parks in the first place to please the aesthetics of pensioners – a key voter demographic for local councils. Leaves are swept up immediately before their nutrients can return to the ground and the insects that lay their eggs on them are doomed to certain death. Road verges are cut back to the bone several times each year and the clippings are left lying, minimising their use as a habitat for wild flowers. It doesn’t help that grounds management is often subcontracted to private firms in the UK. In these cases, grounds management is more likely to be insensitive to expert advice as the function is out of the hands of the democratically controlled body and with a private company that needn’t care what the public thinks. 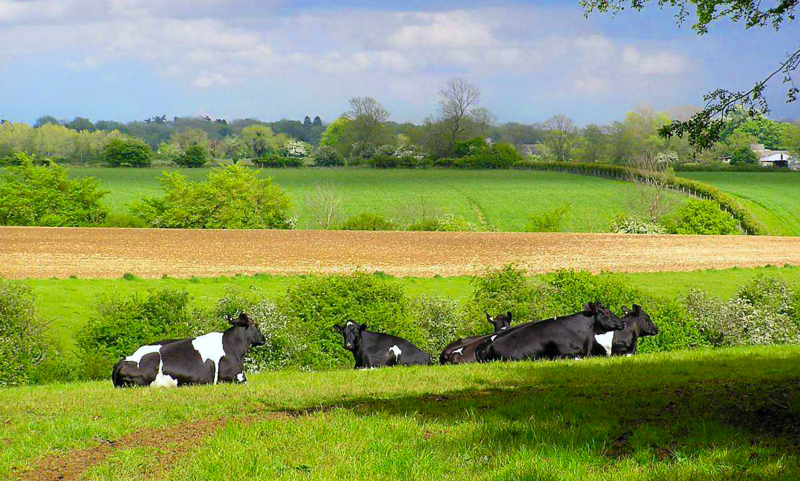 Only a few UK councils that I am aware of are making progress in wildlife-sensitive grounds management. Councils such as Burnley, Dorset, Devon, Cornwall, East Sussex and Bristol have developed comprehensive pollinator action plans and are taking measures like allowing grass to grow longer in public areas, planting native, bee-friendly flowers and mowing verges less frequently. The irony of it all is that measures to improve public areas for wildlife essentially involve less effort overall. All that really needs to be done is to allow public areas to be a little more unkempt, because unkempt areas are what nature likes. If local councils allow this to happen, the public shouldn’t berate them. We must be sympathetic to having natural and semi-natural areas that don’t look like Tellytubby land. But I am sceptical. Local councils in the UK seem a long way from taking wildlife seriously. Unfortunately, the focus on human ideas of “neatness” at present dominates any love for nature. I fear that green spaces in urban areas will continue their decline as wildlife habitats.